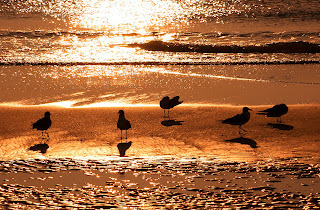 These 5 ringbilled gulls (trust me) were among hundreds enjoying the sunrise on Fernandina Beach. 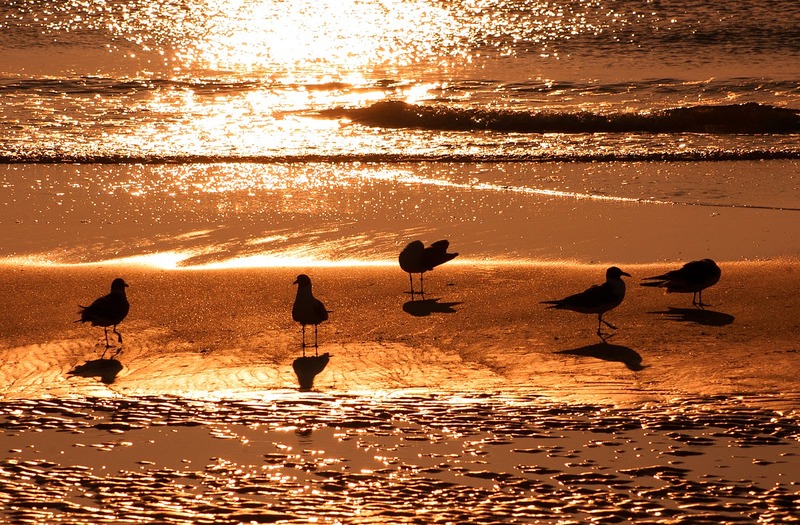 Fernandina is one of those places where you can see the sunrise and sunset over large bodies of water. We did this recently by catching the sunrise and then seeing the sunset on the St. Mary's river off of Cumberland Island. A late dinner ended a perfect day.